Footprints Hostel kohteessa Singapore, Singapore: Varaa nyt! 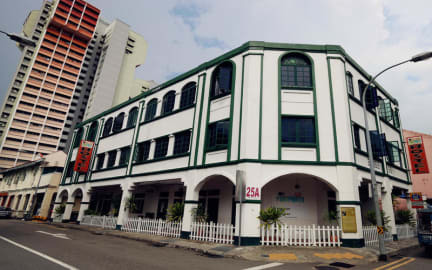 Basic hostel, basic breakfast, nice staff, nice location, nice stay :) What else can you ask for? Oh and the bathrooms are big and there is many!! Hostel is rather old, but clean. Helpful staff and free breakfast, but the bed and blanket didn't seem very clean. The women's bathroom on the 3rd floor was always super humid.